Use of certain anticonvulsant medications may be associated with an increased risk of suicide, attempted suicide or violent death, according to an analysis of prescription and clinical data. The study has been published in the April 14 issue of JAMA. Anticonvulsant medications are a primary therapeutic approach for patients with epilepsy, but labeled indications also include bipolar disorder, mania, neuralgia (sudden occurrences of short, sharp pains along a nerve), migraine and neuropathic pain. "The wide range of indications and common use of anticonvulsants in patients with or without psychiatric comorbidities make their safety an issue of great relevance," the authors write, Daily News & Analysis informs. In order to evaluate the risk of suicidal acts and combined suicidal acts or violent death due to the use of anticonvulsant drugs, a team of researchers led by Elisabetta Patorno, M.D., M.P.H., of Brigham and Women's Hospital and Harvard Medical School, Boston, conducted a cohort study. The study, conducted between July 2001 and December 2006, analyzed data from around 300,000 patients who were 15-year-old or older. 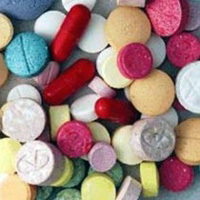 The researchers found that the use of these drugs resulted in 26 suicide, 801 attempted suicide, and 41 violent deaths in the first 60 days, The Money Times reports. In 2008, the U.S. Food and Drug Administration required that all drugs in the anticonvulsant class carry a warning that they double the risk of suicidal thoughts and behaviors, based on a so-called meta-analysis of nearly 200 clinical trials. But the analysis was not large enough to show which drugs in the class were risky. And they are prescribed for a range of conditions, Reuters says.